If you have are one of the many people who have checked out my Best Practice: Roaming Profiles and Folder Redirection (a.k.a. 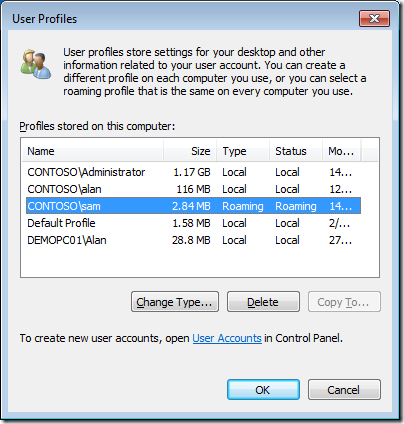 User State Virtualization) post you probably know that roaming profiles can be super useful feature to implement. However over the years roaming profiles have got a bit of a bad wrap as sometime things can and do go wrong. In these case the IT administrator is usually left with no other option than to reset the users profile to solve a issue with their account. 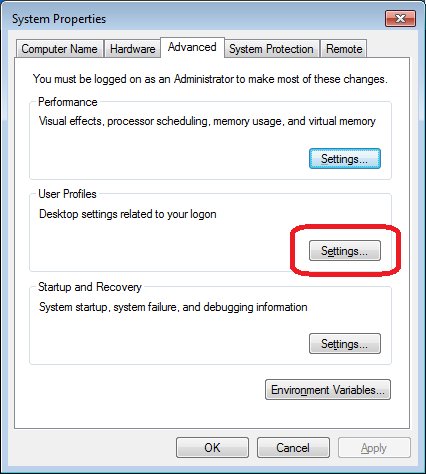 Tip: Make sure that the issue is related to the users roaming profile by testing another account with the same or similar privileges on the same computer. If the other computer account also has the same issues or if the issues seems to does not follow them to other computers then it is highly unlikely it is a roaming profile issue. So lets assume you have troubleshoot this issue for many hours and you are at your wits end about to rip out your hair (if you have any) and have decided to reset the users profile… how do you do it? 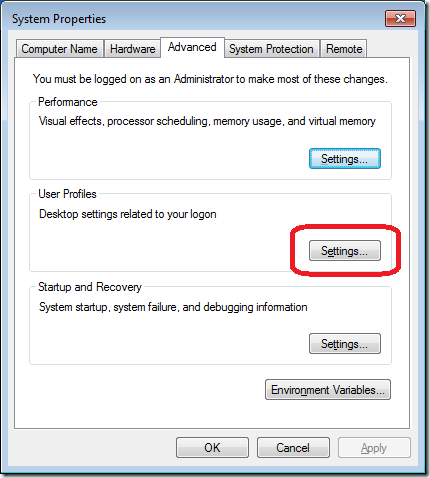 So what is the correct way to reset a roaming profile in Windows 7? Step 1. 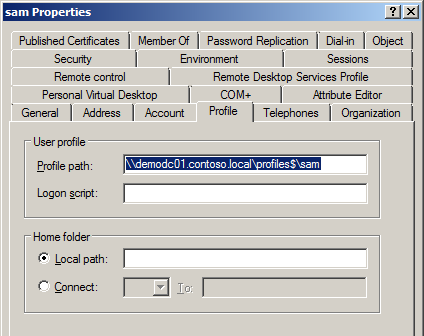 Open Active Directory Users and Computers and to the profile tab of the user account you want to reset. Now take note of the roaming profile path…. Step 2. Reboot the users computer that is having issues and logon with an account that has local admin and is NOT the account you are tyring to fix. Step 5. Now select the user you want to reset the profile and press the “Delete” button. Note: If you have implemented folder redirection as per my Best Practice: Roaming Profiles and Folder Redirection (a.k.a. User State Virtualization) then the vast majority of the users information will not be part of the users roaming profile. This means other than a few program setting the users is unlikely to lose any work. The exception to this is the AppData folder however if you are trying to preserve this folder as well note you may be copying over the issues that are trying to fix. WARNING: Always be careful you have everything backed up before deleting any users profile. Step 7. 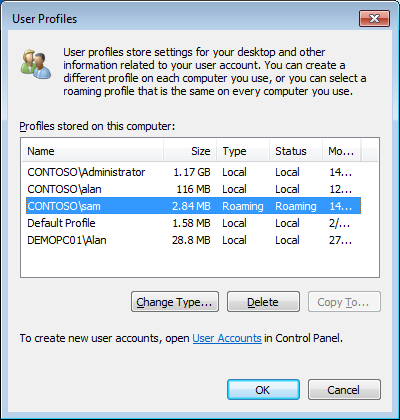 Before you log off that computer go to the path you noted in step 1 and delete (or rename) the roaming profile for that users on the network. Note: You many need to take ownership of the folder before it can be deleted. Tip: To avoid having to take owner ship of the roaming profile be sure you have enabled the Add the Administrator security group to roaming users profiles setting. So… that was the easy way… But what do you do if just deleted the users profile files and now the users is “logged on with temporary profile” like you did back in the Windows XP days…. Step 1. Reboot the computer again and logon as the local admin. Step 3. Find the Profile that has the ProfileImagePath of the users you are fixing and delete that entire key. Step 4. Log off and logon as the user you are trying to fix. TIP: If this is successful make sure you get the use to log off straight away so the new profile is save to the network which will then propagate to any other computer when then log on. Hopefully this will have fixed your roaming profile issues and the users is now back up and running with a minimum of fuss… Of course some of the users personal settings may have been lost but hopefully a well managed SOE should allow them to run all the essential programs with little to no additional set up. Happens far more than it should… No one has been able to pin down exactly what causes it.. but there’s a high suspicion that our antivirus solution: Symantec Endpoint v10/11 is locking the ntuser.dat, and causing windows to logon with a temp profile. Seems to happen a lot more on slower computers too..
Win7 SP1 was meant to include a fix, but so far – no change. It got to the point, where an in-house developer has written an AutoIT .exe, that we can run on computer startup, that silently repairs any .bak profile settings within that regkey that you listed. After a user repeatedly was logged on with with a temporary profile, I wanted to “fix” it by restoring an older version of their profile. 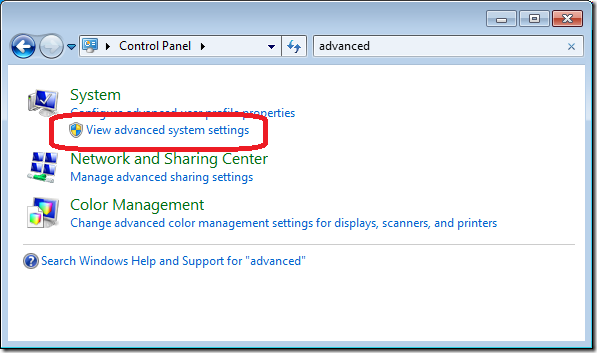 The notes in this article were spot on for removing the former roaming profile folder-contents from their workstation, though I did have to delete the now-empty profile folder within Users on the workstation. I did keep their probably-corrupt profile folder on the server, just renamed it before the restoration job ran, in case I have to recover some documents from that for them. We have also found here that we need to give user SYSTEM Full access to the profile and its sub-folders on the server, so it pays to check the Ownership and Access Permissions on the profile folder and sub-folders once the restoration job has run, and ensure you ripple any changes down to all the sub-folders :). 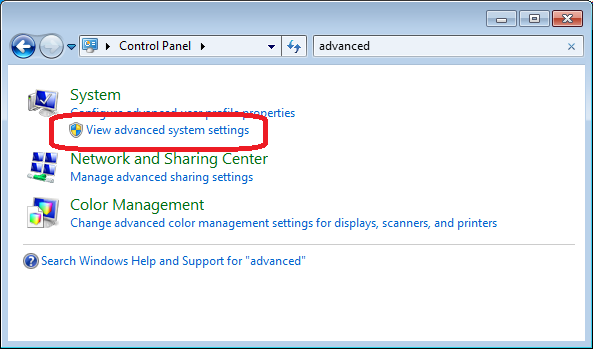 And curiously, this problem has been far more prevalent on our Win 7 PCs than the XP ones. Yes! Finally something about tyrian ios cheats. To get a windows 8.1 working with a roming profile, I need to delete the entire %userfolder% folder (HKLM\SOFTWARE\Microsoft\Windows NT\CurrentVersion\ProfileList\%userfolder%) to get it working again. Maybe also good to say, make a backup before delete the key. how can i set user roaming profile?? Thank you this fixed my issue i’m new to this setup my first home lab with esxi 6 and set up a AD/DS Domain and been useing it for a wile put my one pc on that has 2 drives one i used to install programs and messed my laptop all up. lol You Live and learn oh well.. THANKS A BUNCH!!!! I always start by having the user log on. (They will get the message about the temporary profile.) I then start by taking ownership of the roaming profile on the server and rename it. Next I have the user log of and then back on again. This usually fixes the issue when the system tells them that they are using a temporary profile. The Long path tool is the very best program for error, unlock solution. Try it and solved your problem. I used the long path tool and I solved my error, unlocks problem solution. If you just want to go from roaming to local it is a cinch. Just delete the Profile path property so it is blank in AD. 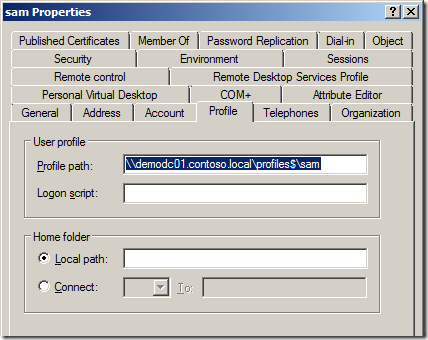 The user profile service will convert the profile to local the next time the service queries AD when logging off/on. Do it all the time. It can occasionally cause profile corruption and you will have to rebuild the users profile on certain computers but is generally ok and certainly a lot easier. You can also do this from (System Properites) sysdm.cpl>advanced tab> profiles button. in control panel on the users computer.